The Nokia 6.1 Plus is a feature-rich Android mobile that packs modern technologies in a stylish design. 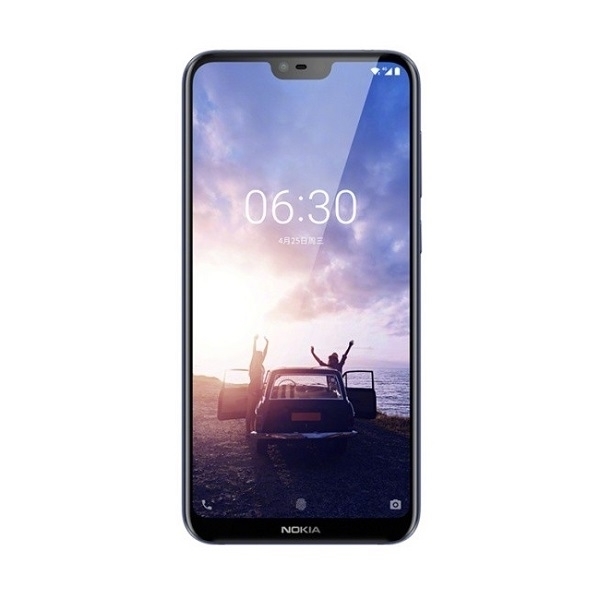 This new Nokia smartphone comes loaded with 5.8-inch FHD+ notch display, dual rear cameras, Qualcomm Snapdragon 636 processor supported by 4GB RAM and a powerful battery to meet your versatile needs. When you compare Nokia 6.1 Plus price and its features, surely it's a bang for the buck device. The Nokia 6.1 Plus instantly grabs your attention. The stunning edge-to-edge design looks sleek and lets you see your favorite shows and games in better detail. Thanks to the curved design, it fits right into your palm and nicely in your pocket. At home or on the road, the Full HD+ 5.8-inch display and immersive 19:9 ratio bring you closer to the action. Whether you’re watching a video or messaging a friend, the high display-to-body ratio lets you see the whole picture. Games, movies or videos, get the speed to run them smoothly and the power to make them last. The Nokia 6.1 Plus mobile features a Qualcomm Snapdragon 636 mobile platform and a long battery life, so no more boredom on those long commutes. In order to satisfy your varied needs, this new Nokia Android mobile is packed with 4GB RAM. The 64 GB inbuilt memory ensures you get enough storage for media and the MicroSD card slot support up to 400 GB offers extra space for keeping movies, songs and all other multimedia files. Capture it in high detail with the perfectly balanced 16 MP front camera. Now you can shoot your favourite moments in high clarity and share it on Facebook, Instagram and other social media platforms. The new Nokia 6.1 Plus smartphone boasts 16 MP and 5 MP cameras at the rear side. Snap the photo whenever the feeling takes you – let your phone do the work. The highly sensitive dual rear camera with depth-based imaging gives you photos you can’t wait to share. And with features like portrait lighting and bokeh, you’ll capture studio-style shots without the studio. Get creative with filters, stickers and masks with Dual-Sight photos and videos. Then live stream everything straight to Facebook or YouTube without leaving your camera app. Artificial Intelligence enhancements including facial recognition ensure your animated masks and filters are always spot on. Keep your information and precious memories safe. Nokia 6.1 Plus dual SIM phone comes with Android Oreo operating system, monthly security updates and two years of upgrades to help keep you secure. Also, Android One offers a clean interface with the latest features at your service. Nokia 6.1 Plus is even ready for the next version of Android – another worry off your mind.